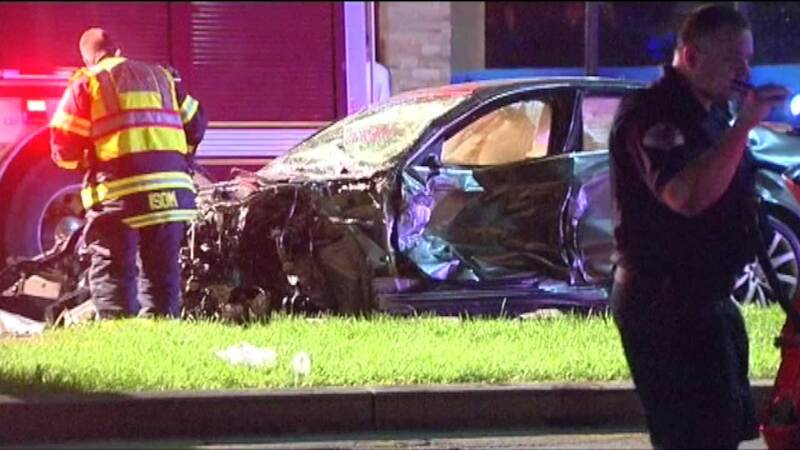 PARK RIDGE, Ill. (WLS) -- A Park Ridge police officer was placed on desk duty Sunday following a crash that injured four people last week, officials confirm. Investigators determined that the police officer was chasing an SUV Wednesday night when it drove through a red light at Devon and Cumberland in the northwest suburb. The SUV crashed into another car, before hitting a tree. The SUV was going 85 miles per hour when the officer spotted him, said Frank Kaminski, Park Ridge police chief. Kaminski said it's unclear why the presence of the police officer wasn't disclosed earlier. "I don't know if we did a good job of really getting all the information together," Kaminski said. "Now who's to blame for that? I'm not sure if there was something lost in translation and I'm not sure how that occurred or what, but I want an answer to that question too."